According to the National Center for Statistics and Information, the population of the Sultanate of Oman was about 4.60 million in 2017. This number includes about 2.06 million non-Omani expatriates, representing 45.1 per cent of the total population. Males account for 65.4 per cent of the population, compared to 34.6 per cent for females. This large disparity is due to the fact that most of the non-Omanis are migrant workers from India, Pakistan, Bangladesh, Iran, Sri Lanka, the Philippines, Egypt and Jordan who come to the sultanate without their families, with men constituting 83.7 per cent of the total expatriates, compared to only 16.3 per cent of the women. Between 2013 and 2017, the population growth rate was 17.8 per cent, with an average annual growth rate of 4.3 per cent. The religious and ethnic make-up of Oman is complex. A major constituent of its identity is formed by Ibadi Islam, to which, it is widely assumed, the majority of the population adheres. However, exact numbers are not available. According to The Oxford Encyclopedia of the Modern Islamic World the Ibadi make up a maximum of 40 to 45 percent of the population. There is an important minority of Sunni Muslims. No more than 2 percent of the population is Shia. ‘Inner Oman’, the northern interior separated by the Hajar mountain range from the coast, remains predominantly Ibadi and Arab. In contrast, the towns and villages on the Batina coast are polyglot and multi-ethnic, with Arabs (both Ibadi and Sunni), Baluch (or Baloch, Sunni), Persians (Sunni and Shia) and Liwatiya (Shia). The end of the country’s isolation in 1970 led to the rapid development of Oman’s educational institutions. This has created major changes in the manner in which Islam is expressed and practised. Slumbering tensions in Omani society have recently erupted, in some cases leading to violence. According to the CIA’s World Factbook, 30.1 per cent of the population was under the age of 15 in 2017, 18.69 per cent was aged 15-24, 43.8 per cent was 25-54 and only 3.49 per cent was 65 years old and over. In the same year, the fertility rate was 2.82 births per woman, while the average life expectancy was 75.7 years (73.7 for men and 77.7 for women). In 2017, the population density was 14.7 people/km2. Muscat, the capital, accounts for 32 per cent of the population and has the highest population density of all the sultanate’s governorates, with 364.8 people/km2, followed by al-Batinah North with 16.5 per cent, al-Dakhiliyah with 10.1 per cent, Dhofar with 10 per cent and al-Batinah South, al-Sharqiyah South and al-Sharqiyah North with 9.2 per cent, 6.9 per cent and 6.1 per cent respectively. According to the National Center for Statistics and Information, 45.2 per cent of non-Omani expatriates are concentrated in Muscat and account for about 64 per cent of its population, 12 per cent live in Dhofar governorate, 5.7 per cent in al-Dakhiliyah and the remainder live in other governorates in varying percentages. The population of Oman is characterized by a large variety of ethnic backgrounds. To a certain extent this is the result of a long tradition of commercial and cultural relations with Persia and East Africa, a history of maritime trade and tribal migrations. Arabs constitute a majority in Oman, and although precise figures are not available, most estimates assume that this majority is about 65 percent of the Omani population, nationals and non-nationals included. But even within the Arab population there are ethnic differences, such as between the coastal Arabs and the Jibali (‘Mountain People’ in Arabic), Arabs in Dhofar, who are supposed to be descendants of tribes from the highlands of Yemen. Other small to very small ethnic Arab minorities of Yemeni descent are the Meheri (or Mahra, less than 3 percent) and the Shahra (or Shehri speakers, between 1 and 2 percent). A considerable part of the population (estimated at 16 percent) comes from the Makran, the coastal strip along the Arabian Sea and the Gulf of Oman, in Baluchistan, in present-day Iran and Pakistan. The Baluchis are concentrated in Muscat and al-Batina. Other Omanis of Persian descent are the Shihuh in the Musandam Peninsula. The Khoja community of Indian origin is concentrated in Matrah, as are the Liwatiya, who descend from the region of Sindh, a province in present-day Pakistan. All these minorities have been living in Oman for centuries. Another important minority is that of the Omanis from Zanzibar, the island before the east coast of Africa, once in possession of the Omani empire. Members of Omani families who lived in East Africa, often for generations, are sometimes referred to as Zanzibaris. Some members of this group intermarried with Africans. They returned in large numbers to Oman in the years after Zanzibar obtained independence from British rule in 1963. Some Omani citizens from Zanzibar speak Swahili (a Bantu language with some Arabic vocabulary) and English, but not Arabic. Ethnic African influences in the Omani population are often also a legacy of the Omani role in the slave trade. One way of distinguishing Omani citizens is through religious denomination. For example, the majority of Omanis adhere to the Ibadi doctrine (al-Ibadiya) in Islam. Ibadism originates from Basra. 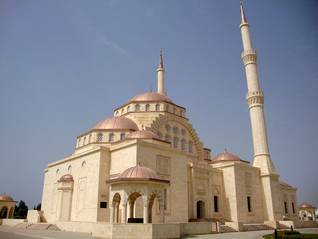 It is named after Abd Allah ibn Ibad al-Tamimi, a religious leader circa 684 CE, but the sect is probably older (before 650 CE). Ibn Ibad’s successor was the eminent scholar Jabir ibn Zayd al-Azdi from Oman, who lived from 639 until circa 732 CE. Ibadism is one of the earliest Islamic sects, a moderate Kharijite group. In belief and ritual Ibadism is close to Sunni Islam. However, it differs in its emphasis on an elected Imam as spiritual and temporal leader of the community. The sect established its own state in Oman under the leadership of an elected Imam, who functioned independently from the caliph of the Islamic state. The Imam was nominated and elected by a council of tribal chiefs and religious leaders, while other representatives of the tribes and provinces swore allegiance to him. According to the principles of Ibadism a Muslim state is ideally formed as an imamate. Candidates were, in principal, elected on the basis of their moral standing as well as on religious knowledge. But in practice they were chosen by a tribal elite. The last chosen Imam of Oman, Muhammad bin Abd Allah al-Khalili (1920-1954), was the twentieth Imam in succession belonging to the same tribal group. The northern interior of Oman was one of the world’s last theocracies. However, cooperation existed between the Imam and the Sultan, the secular ruler of the country, who recognized the Imam solely as a tribal leader. The Imamate ended when Sultan Said bin Taymur took control over the region in 1955. Apart from Ibadism, a number of other Muslim denominations exist in Oman. Most Omani tribes in Dhofar adhere to Shafii Sunni Islam, one of the four schools in Sunni Islam. Most Omani Baluchis also follow the Sunni form of Islam. They originate from Baluchistan (partly in Pakistan, partly in Iran). Contacts between Oman and Baluchistan were established when Gwadar, a territory in Baluchistan, became part of Oman in the 18th century. In 1958, the territory was sold to Pakistan. Another Sunni oriented school is represented by the Wahhabi sect. This sect was established by Muhammad ibn Abd al-Wahhab (1703-1792). He lived in Saudi Arabia. Omani followers of the sect can be found among tribal members living in interior regions such as al-Sharqiya and al-Zahira. They adopted the doctrine through contacts with Wahhabi followers in Saudi Arabia. The Shia doctrine is adhered to by the majority of Omani Khojas. Khojas live in various regions in India (in Gujarat) and Pakistan (in Hyderabad). Over the centuries they migrated to many parts of the world, including Oman and other Gulf regions. Members of these families settled in Matrah and other coastal towns in the 18th and 19th centuries (or possibly even earlier). Many are traders with contacts in India, and speak Urdu, Hindi or other Indian languages. Another group that adheres to Shia are the Ajam. They originate from Iran (in Arabic ajam means Persian or non-Arab). They also came to Oman as merchants. Groups of similar origin settled in other Gulf countries such as Bahrain. The White Book, or Basic Law of Oman, promulgated in November 1996, stipulates that the state religion is Islam and that the Islamic Sharia is the basis of legislation. It guarantees the freedom to practise religious rites ‘in accordance with recognized customs’. The Law affirms the individual’s right to practise his or her own religious activities according to his or her values, customs, and traditions. Discrimination on the grounds of gender, origin, colour, language, religion, sect, domicile or social status is forbidden according to the Law. All religious organizations must be registered with the Ministry of Religious Affairs. Statistics on religious affiliation are not published. The government prohibits non-Muslims from proselytizing Muslims. The Basic Law does not specifically prohibit this kind of activity, but uses immigration regulations and laws to restrict individuals from engaging in these practices. Article 209 of the Penal Code prescribes a prison sentence and fine for anyone who publicly blasphemes God or His Prophet, who commits an affront to religious groups by spoken or written word, or who breaches the peace of a lawful religious gathering. The Personal Status and Family Legal Code are based on the principles of Sharia law and are adjudicated by the country’s civil courts. Non-Muslims are exempt from the Code’s provisions (Article 282). They are allowed to follow their own religious rules pertaining to family or personal status. Shia Muslims may resolve issues relating to family and personal status outside the courts, according to Shia jurisprudence, but they retain the right to transfer their case to a civil court if they cannot resolve the matter. There is a large variety of (cultural) minorities living in Oman. It is necessary to make a distinction between representatives of minorities who have an Omani passport and those who do not. Non-nationals joined Oman’s labour force especially from the 1970s, when the new ruler of the country, Sultan Qaboos bin Said Al Said, opened up the country to the outside world. Oil wealth induced economic development, and the national labour force was not capable of producing sufficient workers or knowhow. The majority of expatriate labourers, numbering 1.7 million in 2014 (NCSI), live in Oman on a temporary basis, some of them with, but most of them without their dependents. They originate from all over the world, mainly from India, Pakistan, Bangladesh, Iran, Sri Lanka, the Philippines, Egypt, Jordan, but to a lesser extent also from Europe and the United States. They represent a large section (44.1 percent in 2014) of the overall population, although their numbers are relatively less compared to other Gulf States such as Qatar, where they form a majority in the labour force as well as in the population as a whole. As a rule, foreigners view themselves as sojourners and feel a strong urge to preserve their identity, which is facilitated by their sheer numbers. They participate in the economic life, but very seldom integrate into Omani society and culture. Rather than being assimilated, immigrants are accommodated in Omani society. Over the years, the Gulf States have instituted a sponsorship system (kafala) that forms the legal basis for residency and employment. Migrant workers only receive an entry visa and a residence permit if a citizen of the Gulf Cooperation Council (GCC, made up of Saudi Arabia, Kuwait, Bahrain, Qatar, Oman and the United Arab Emirates) or a GCC institution employs them. Sponsorship requires the sponsor-employer to assume full economic and legal responsibility for the employee during the contract period. This system implies further that the worker can only work for the sponsor and renders employees entirely dependent on their contract in order to remain in the country. In many GCC member states, the sponsor is legally entitled to confiscate the passports of employees until their contracts have ended. While the kafala system was created to provide the central government with a means to regulate labour flow into GCC member states, critics argue that the system leads to the exploitation of these workers, particularly women employed in domestic services and migrants working in the construction sector. If an employee sues the sponsor for violating labour practices, there is generally no form of unemployment protection while the case is pending. Even if a worker wins his case, the usual result is that the sponsor contract is terminated, requiring the worker to leave the country. The United Nations High Commissioner for Human Rights, Navanthem Pillay, recently stated that Gulf Arab countries must end their sponsorship system for migrant workers that leaves labourers beholden to employers and exposed to potential abuse. There are around 17.6 million expatriate workers in the six member states of the GCC, or 42.7 percent of the overall population, according to the Gulf Research Centre in Cambridge, UK. The total of remittances sent by these workers to their countries of origin was 44 billion USD in 2009 (in 2008 est. 40 billion USD). Many of the illegal immigrants living in Oman become illegal when they lose their sponsor contract. Others enter the country without a sponsor contract, visa or residence permit. Although it is difficult to quantify the number of illegal immigrants, their presence in the member states of the Gulf Cooperation Council is seen as a major problem. In May 2010, it was estimated by the Omani authorities that there were 25,000 migrant workers in the country who had ‘overstayed’ their contract and had become illegal labour migrants. According to the Omani National Centre for Statistics and Information, at the end of 2013 non-nationals in Oman’s labour force accounted for 1,527,241 people (89 percent) working in the private sector. In 2012, more than 166,000 Omani nationals were working for the government. The ratio of Omani workers varies within the public and the private sectors. Omanis constitute 85 percent of the workforce in the public sector, but only 11 percent in the private sector. Unemployment among nationals is an issue. According to a study by the Gulf Investment Corporation, the unemployment rate under nationals was 8 percent in 2013, down from no less than 20 percent in 2003. Unemployment especially affects young males entering the labour market who have secondary level education or less. The youth (19-25) unemployment rate was 23 percent in 2013. Population growth, increase in female participation rates, contraction of the traditional sectors and the dependence of the private sector on expatriate labour are factors contributing to the unemployment under male nationals. The presence of expatriates in the work force poses problems for ‘Omanization‘. This is a policy which aims to reduce the reliance on expatriate labour and increase the participation of nationals in the labour market. The United Arab Emirates and Saudi Arabia are pursuing similar policies, called ‘Emiratization’ and ‘Saudization’ respectively. The government of Oman has selected industries considered suitable for employment of nationals and has set quotas which organizations within these industries have to meet. In order to avoid unemployment in certain occupations and surplus in others the government has initiated measures, such as control procedures regarding expatriate labour coming into the private sector. This program of replacing expatriate workers with local staff remains high on the agenda, with the government continuing to fund higher education in order to develop local professional and technical expertise. Research suggests further that the preference amongst Omani to join the government sector is due to conditions such as lifelong employment, additional educational opportunities, wages, benefits, working conditions, working hours and retirement benefits. Owners of businesses prefer expatriate labour because of the lower wage level, better skills, higher productivity, and willingness to work longer hours with shorter holidays. The government has set employment objectives for the year 2020. ‘Omanization’ in the government sector must be 95 percent and in the private sector up to 75 percent by that year. Some 110,000 new jobs are foreseen. Omanization percentages per sector are monitored by the Ministry of Manpower. The levels of human development vary per region in Oman. Muscat enjoys the highest levels in all fields, followed by Dhofar, al-Zahira, al-Dakhiliya and al-Batina. On the Human Poverty Index 2009 of the United Nations Development Programme Oman ranks 56 out of 182 and 10th among the group of 18 Arab countries. The Index measures deprivation in the three main fields of human development: long and healthy life, education, and decent living standards. Discrepancies in income distribution are slight compared to other countries. The income level is highest in Muscat, followed by Dhofar and the most industrialized parts of the country, and lowest in al-Sharqiya followed by Musandam. Income in urban areas is much higher than in rural areas.